[11:33:26] <jepler> all night long! [19:07:02] <pcw_home> what did you change that got rid of the 10 ms latencies? [19:09:39] <jepler> not sure how long motion typically runs..
[19:10:42] <pcw_home> how many cores does the Odroid CPU have? [20:35:08] <skunkworks_> jepler: still going? [20:51:33] <jepler> pcw_home: did you say that via spi, it's not actually possible to reprogram the eeprom? [21:38:15] <PCW> micges: what do you want for a ICAP cookie? [21:39:44] <PCW> I can put "ICAP" in text"
[22:08:32] <jepler> "the correct side"
[22:55:22] <PCW> but what is the actual CS timing? [23:40:11] <jepler> > All SPI transfers start with the relevant chipselect active. Normally it stays selected until after the last transfer in a message. 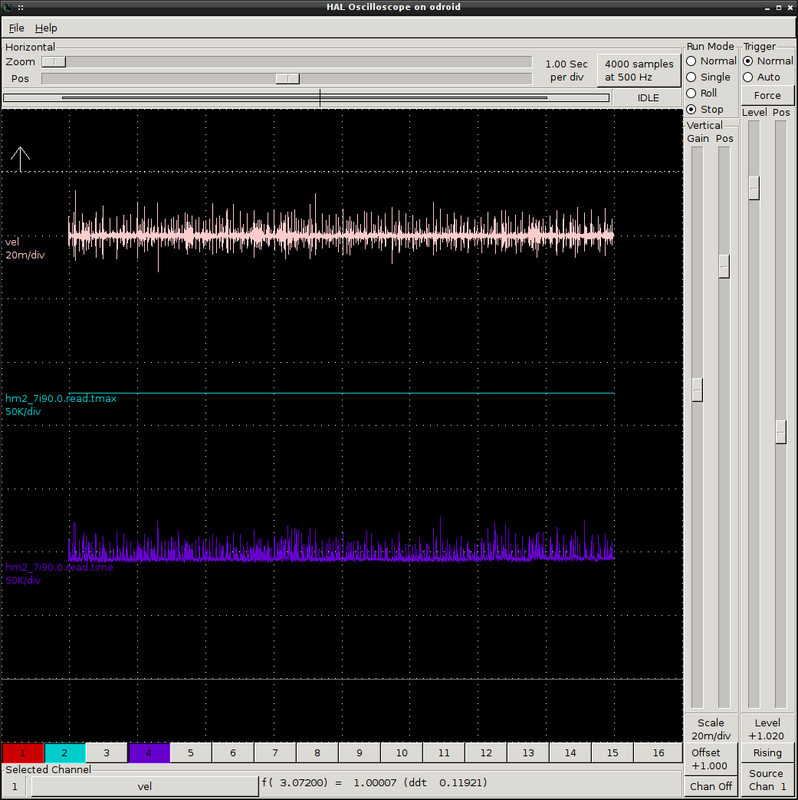 Drivers can affect the chipselect signal using cs_change. [23:47:54] <jepler> no, that doesn't seem to make a difference in whether I read the cookie back. [23:54:53] <jepler> but my code merrily encodes the SPI transaction for "read zero words starting at..."